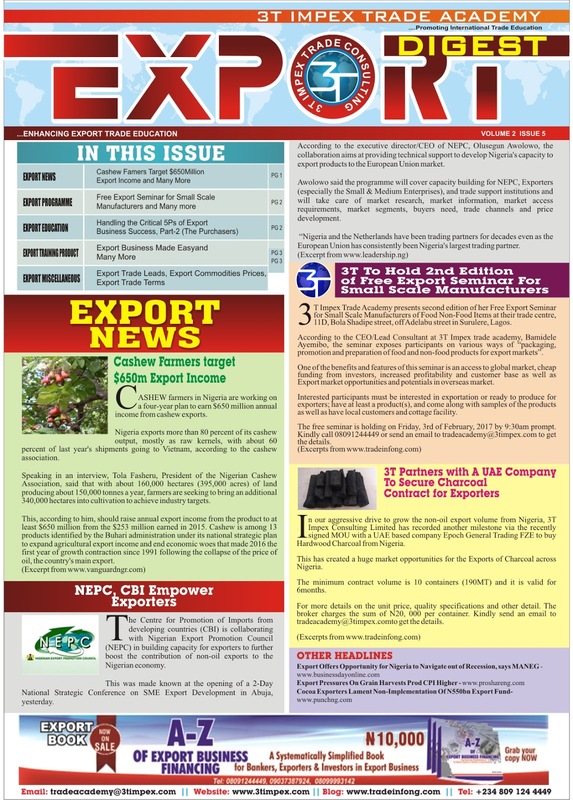 In This Edition Export Digest Newsletter- 3T Impex partners with Cashew buyer abroad to secure Export Contracts for Nigerian Exporters. 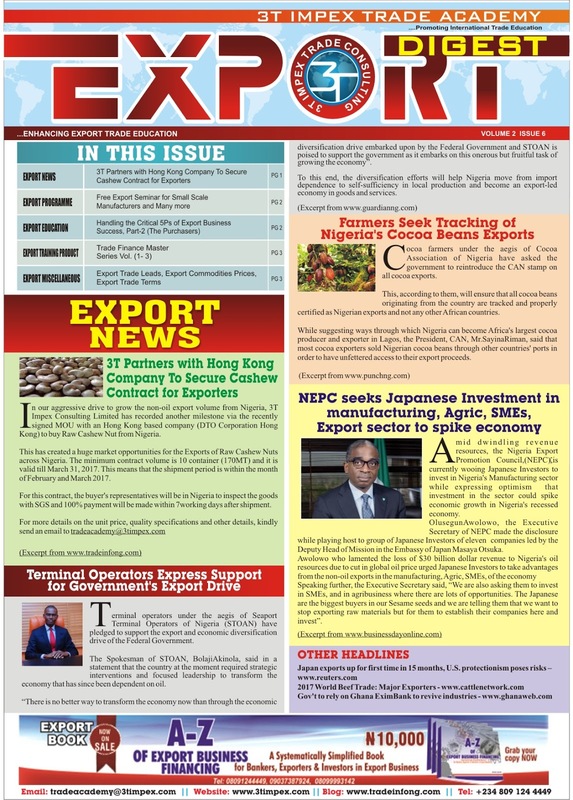 In our aggressive drive to grow the non-oil export volume from Nigeria, 3T Impex Consulting Limited has recorded another milestone via the recently signed MOU with an Hong Kong based company (DTO Corporation Hong Kong) to buy Raw Cashew Nut from Nigeria. This has created a huge market opportunities for the Exports of Raw Cashew Nuts across Nigeria. The minimum contract volume is 10 container (170MT) and it is valid till March 31, 2017. This means that the shipment period is within the month of February and March 2017. For this contract, the buyer's representatives will be in Nigeria to inspect the goods with SGS and 100% payment will be made within 7working days after shipment. 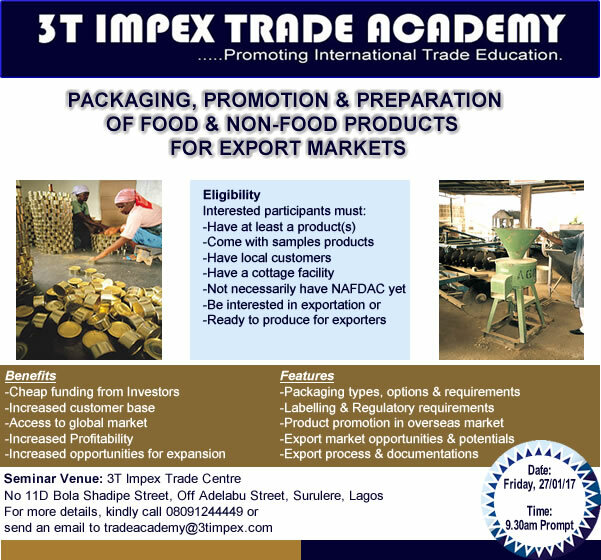 We are introducing our annual Free Export Seminar for Small Scale Manufacturers. 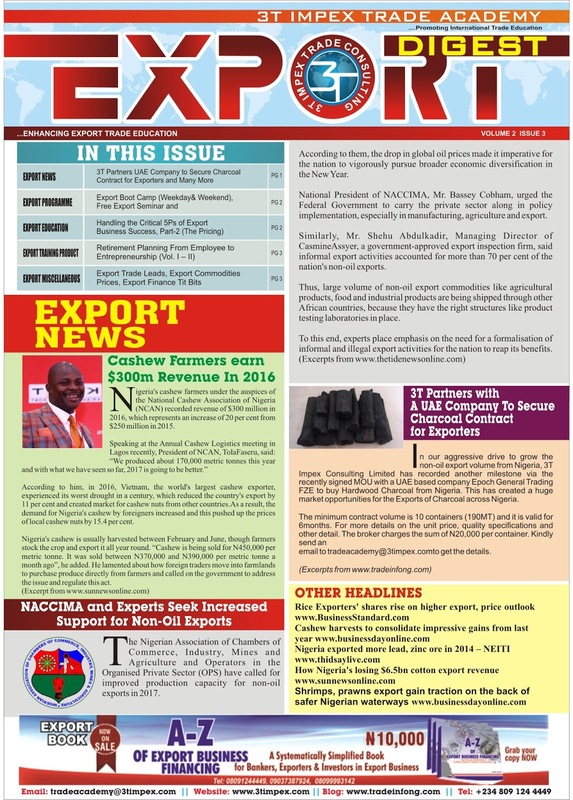 Kindly inform the small scale manufacturers around you. Welcome to the year 2017.